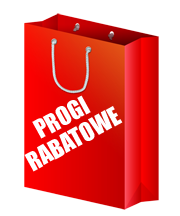 EK Water Blocks EK-RES X3 - Multiport TOP :: ..:: Angela.pl ::.. 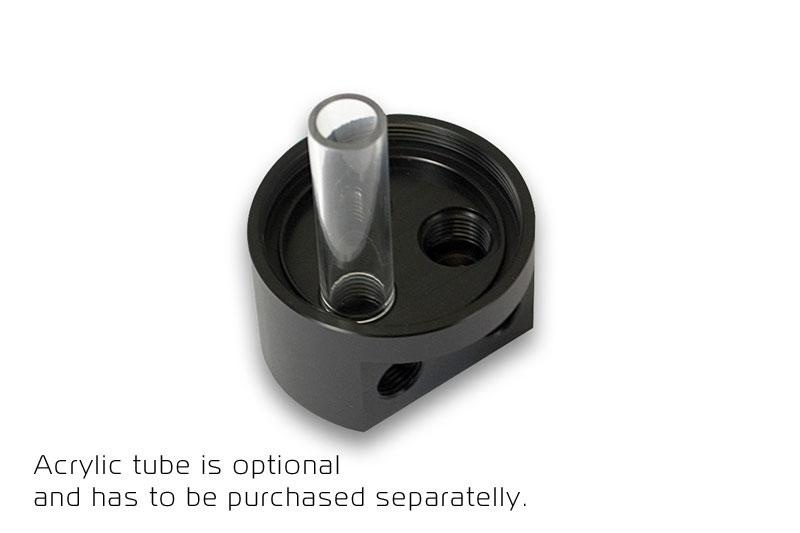 This TOP allows installation of three tubes which needs to be purchased separately (appropriate length, depending on the version of the reservoir). These tubes, which are sealed with quality NBR rubber gasket, allow the ports on this TOP to be used as an outlet ports as well. 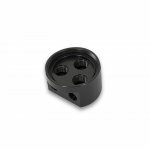 EK-RES X3 - Multiport TOP is made of quality machined POM Acetal material. In order to utilize the bottom recessed ports the use of EK-Extender G1/4 - Nickel extenders is mandatory! The extenders are not included! Allen key 6mm, required for tightening of G1/4 plugs, is not enclosed. It is, however, being enclosed within each delivery of the EK-RES X3 series reservoirs. EK-Extender G1/4 - Nickel extender is not included! EK-UNI Pump Bracket (120mm FAN) Vertical is a vertical mounting adapter for installation of Laing D5 powered EK-XTOP Revo D5 and EK-XRES Revo D5 units to any 120mm fan hole pattern application.